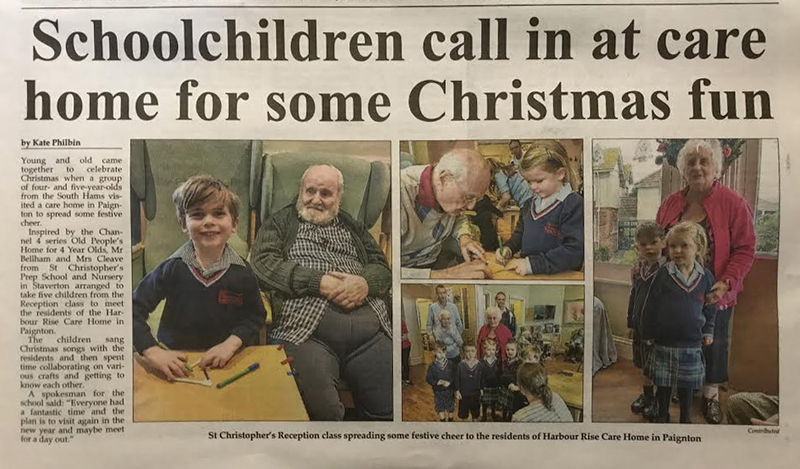 Harbour Rise and Saint Christopher’s school are in the paper following their visit to Harbour Rise as part of the intergenerational project! 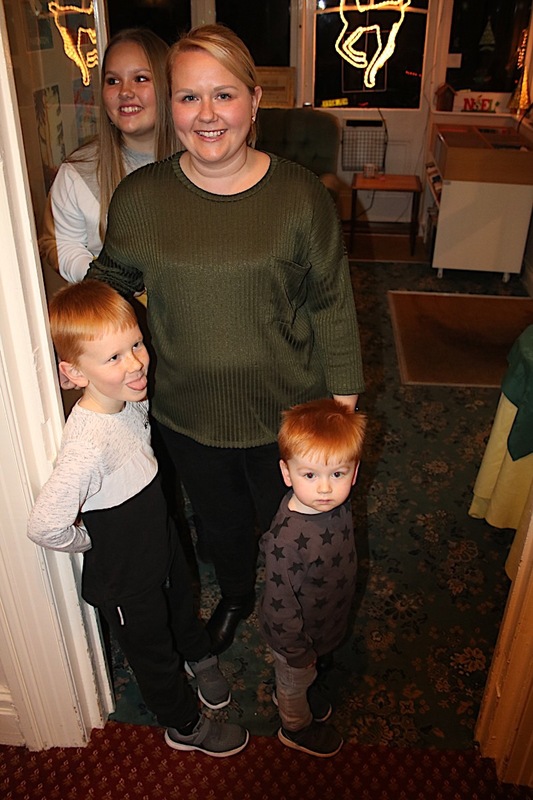 Harbour Rise to stream Jack and the Bean Stalk live from the Northcott Theatre! 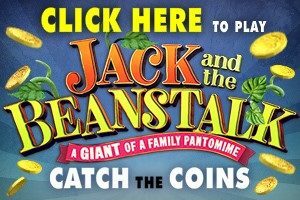 On the 10th December at 10am Harbour Rise will be streaming onto a large screen Jack and the Bean Stalk. 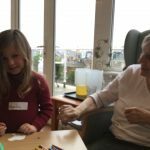 Please start rehearsing saying ‘behind you’, all families and friends are welcome to attend this Pantomime. We are able to show it again so Tuesday 10th December will be a trial run and we will likely show the Pantomime at least once more before Christmas. 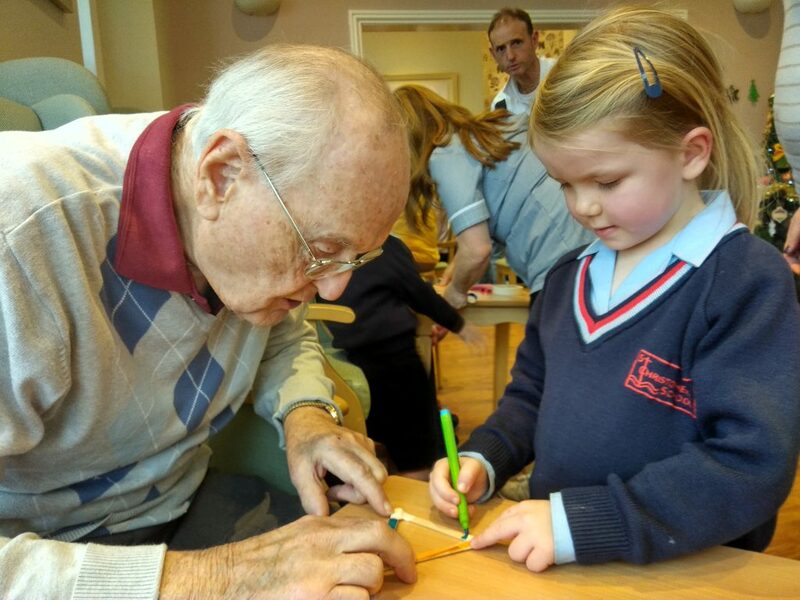 We are so pleased to confirm that Saint Christophers’ school (Staverton – Primary) has started to visit Harbour Rise. 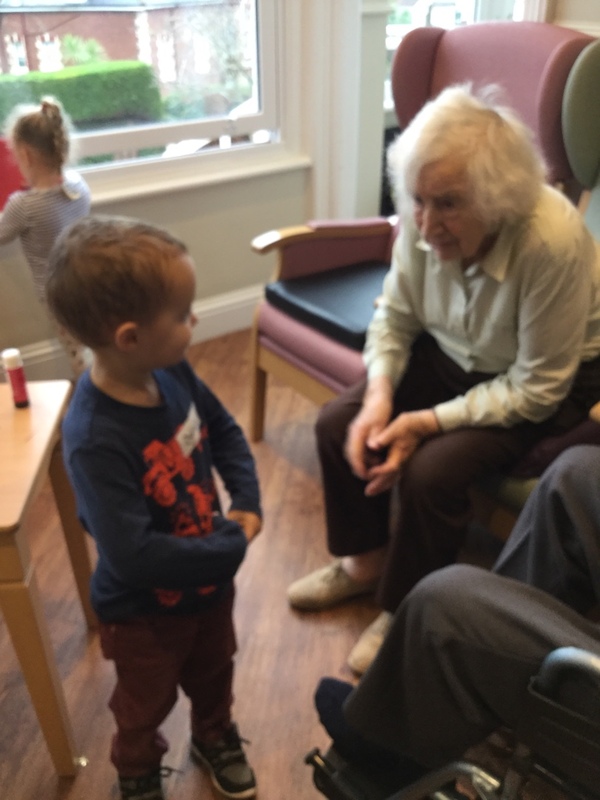 Reception class came to visit our residents for the first time on 4th December. 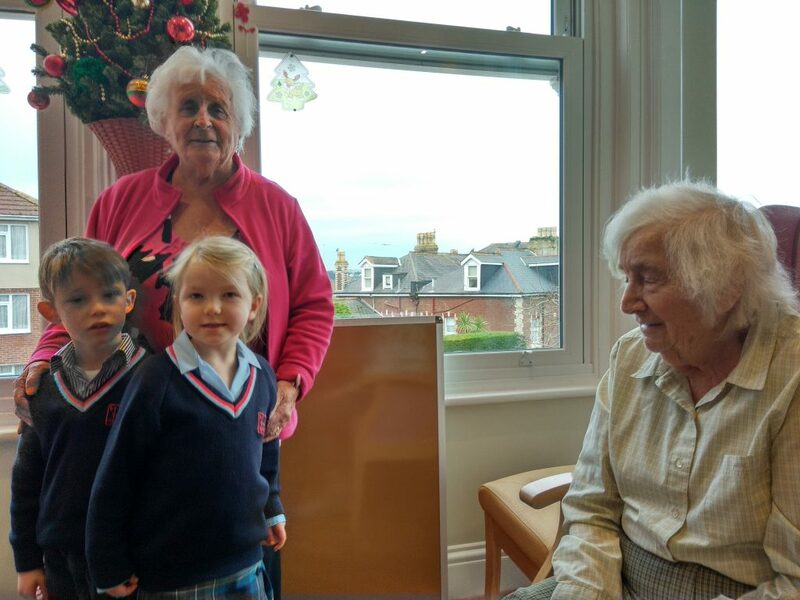 The children behaved beautifully and sang Christmas songs to our residents in the lounge and in some of our residents’ rooms. 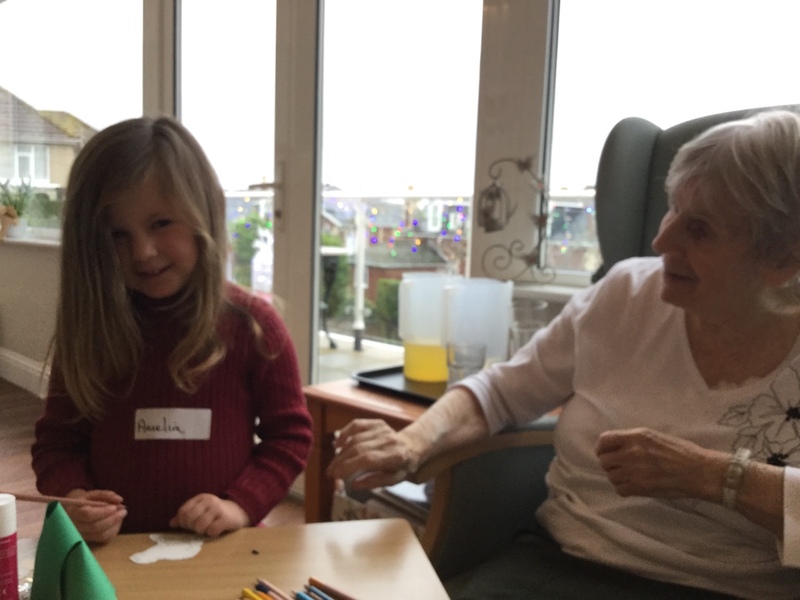 They also made some Christmas decorations and both children and residents got stuck in and enjoyed themselves. 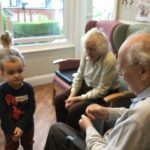 It was amazing to be involved in this, we can’t wait for them to return in the New Year. 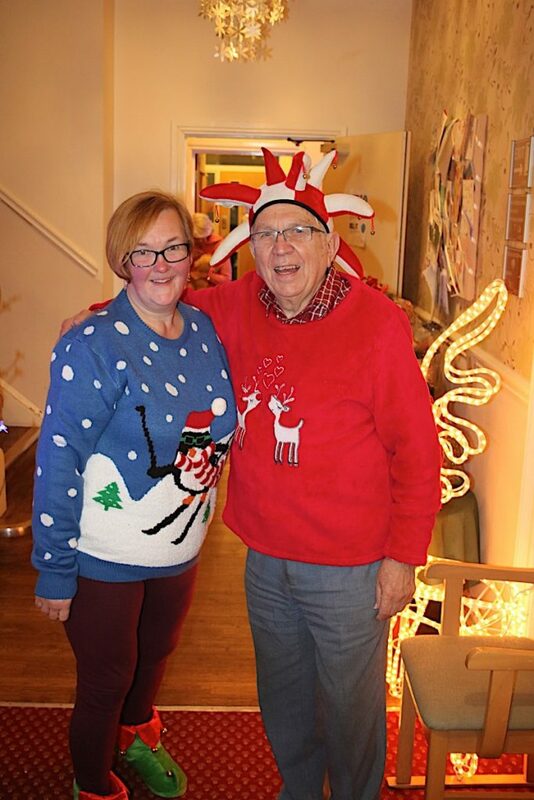 We are thrilled to announce that we hosted our Christmas Market on Friday 30th November. 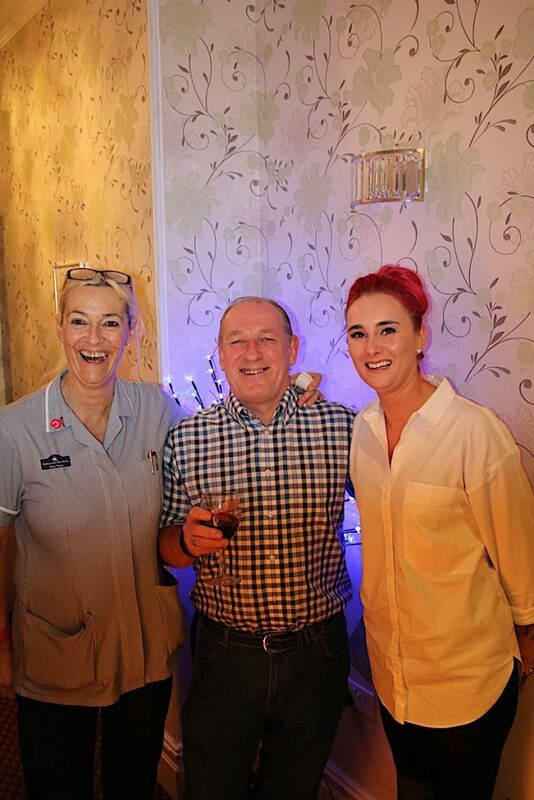 We had 10 stalls all together and the event was very well attended. We sang, ate some mince pies, drank mulled wine, and even had a bit of a dance. 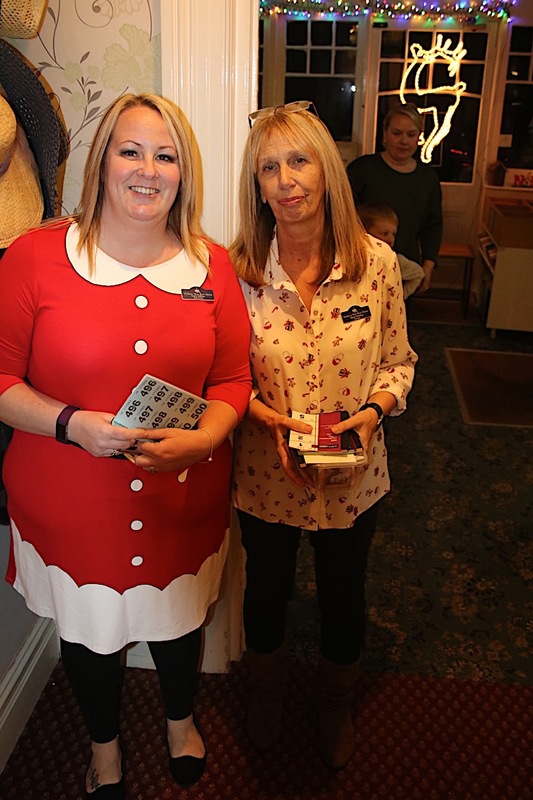 Thank you to all of you who were involved with the event, either holding a stall, donating a raffle prize or visiting, the event was very successful. 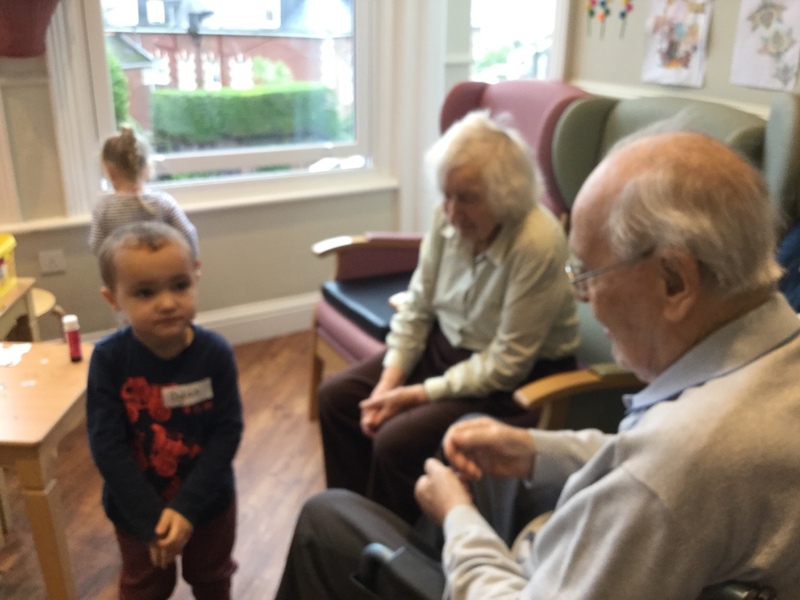 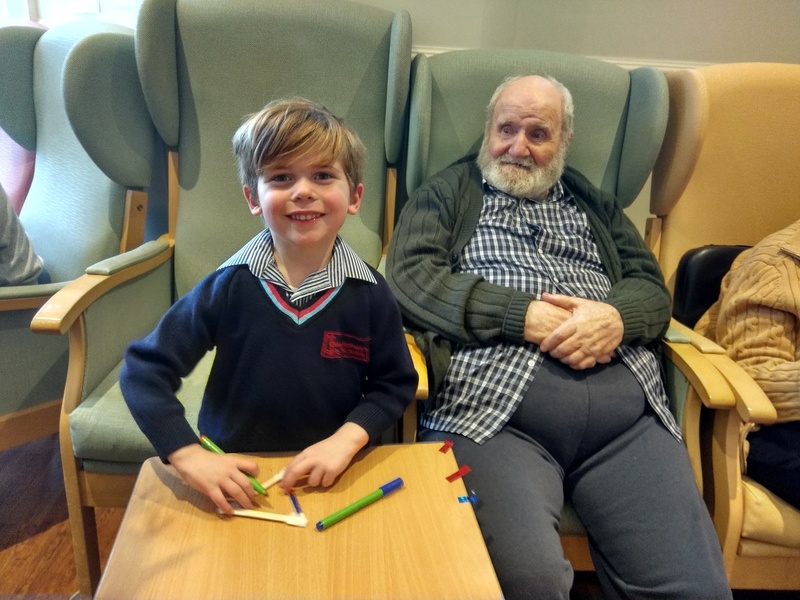 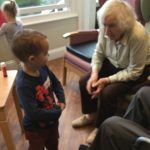 Today the children from Braeside came to visit us as part of our weekly visit for our intergenerational project. 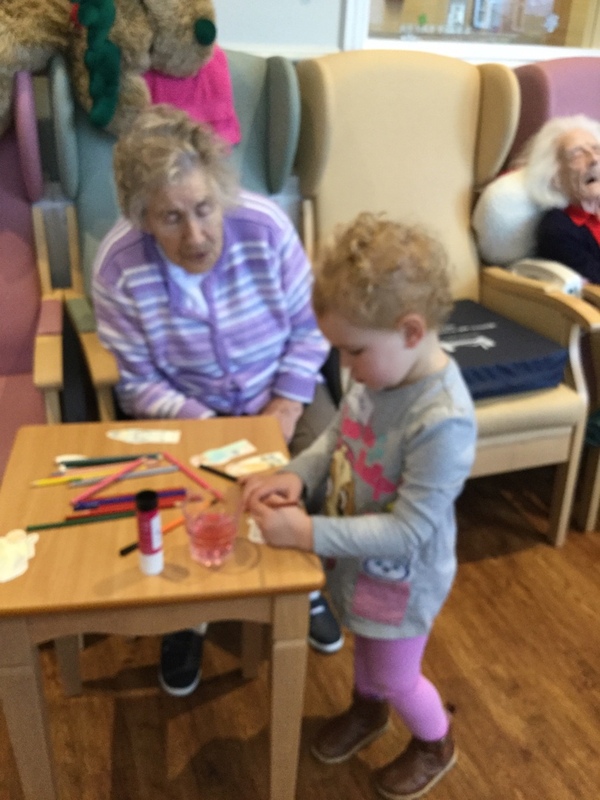 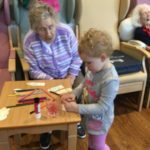 The children made some Christmas decorations with the help of our residents, and sang beautiful Christmas songs together! 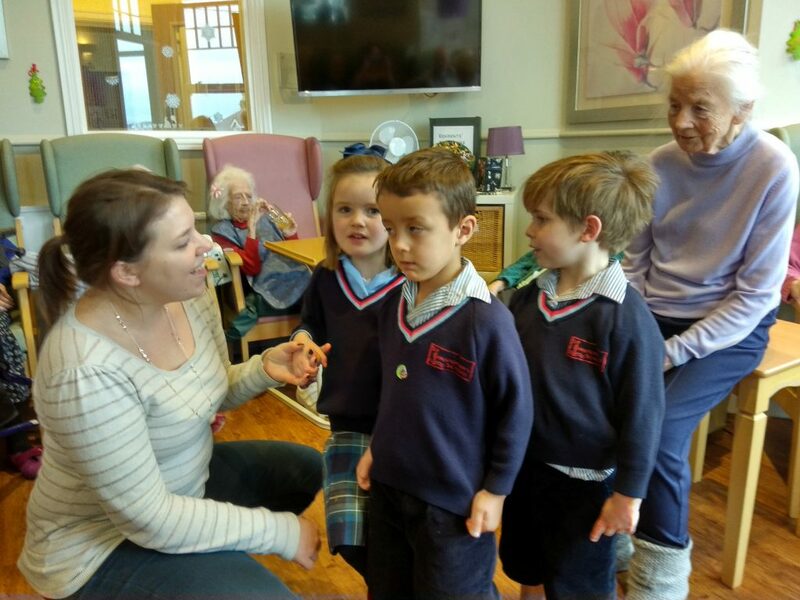 Thank you for your visit!